I’m getting better! I actually managed plying, washing and making a skein. I am making spinning improvements. I’m really enjoying my Craftsy class. I used a combination of wool roving I got from the SAFONA fiber festival. I used Shetland (so far my favorite to work with) Jacob, Portuguese, and Blue Face Leicester Bottom roving. All are nice to work with, and I wish I had bought more. These wools came in a sampler pack. 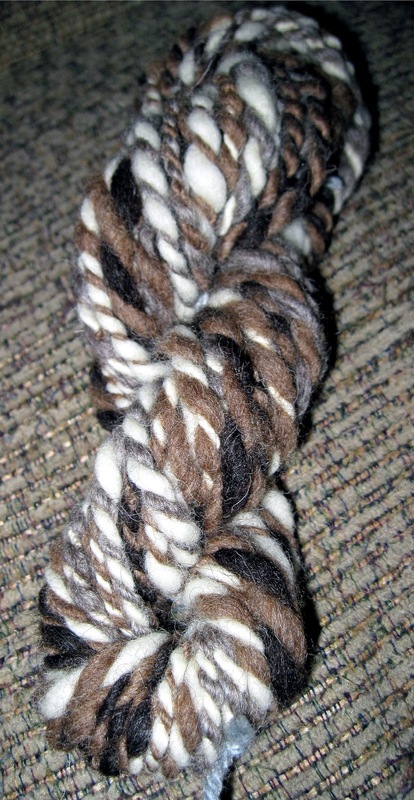 I am also finding out that an ounce of roving can go a long way. 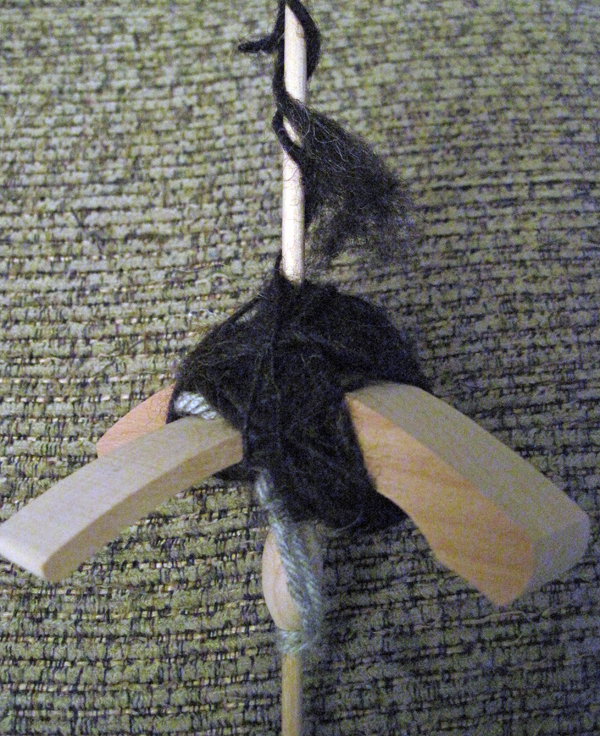 I’m still using my top whorl spindle, but I had a Turkish spindle that I bought a while back. I’m using that now, too. 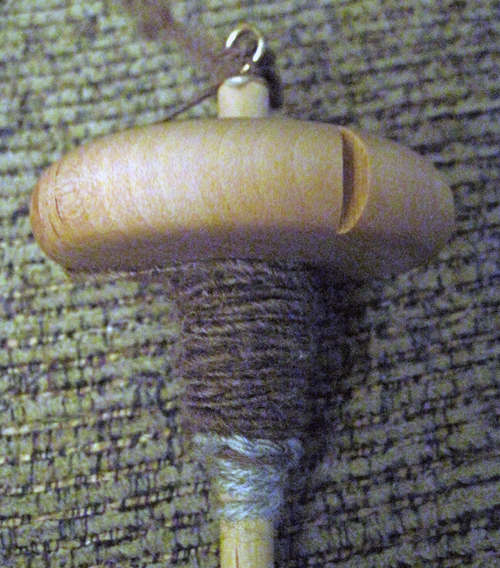 Here, I am using the Shetland roving on the top whorl spindle. My yarn is getting more consistent. On the Turkish spindle, I am using the Jacob roving. I like it, but it’s not my favorite, but it makes for good practice with the Turkish spindle. On a sadder note, the knitting community lost Knit Purl Gurl today. She suddenly past away. Her blog and podcasts had a huge following and she contributed so much to knitting and fiber arts. She will be dearly missed. Great progress! Good for you! 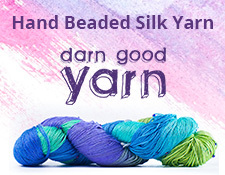 Very sorry to hear about Knit Purl Gurl though. Always sad when our community loses a member. Knit Purl Gurl is a loss. She was a big blogging inspiration for me.